I have been doing pencil portraits of many prehistoric animals on my instagram account, and these two have gotten the most likes, which is a great way of knowing which creature to paint next for this series. 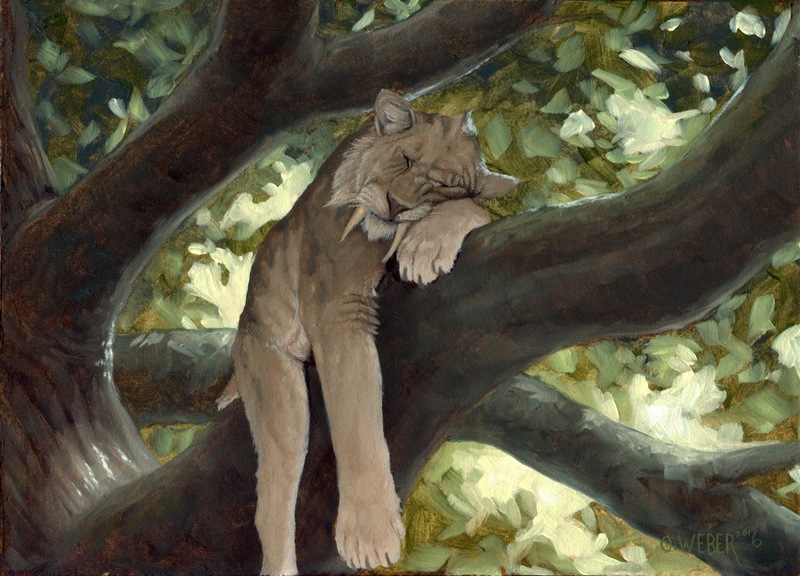 Smilodon is very well know. Along with the Woolly Mammoth, it's one of the most well known extinct creatures from the Early Pleistocene era. It was only a matter of time before I was going to paint this guy. I wanted to show it in a way that was not often depicted. We've all seen images of the Smilodon snarling or lunging at it's prey. I am showing it sleeping, because thats what cats do. I imagine Smilodon was no different. Recently, the internet has become very interested in this animal, and calling it a unicorn. Obviously, this beast is far from the idea of a unicorn that we all know and love. 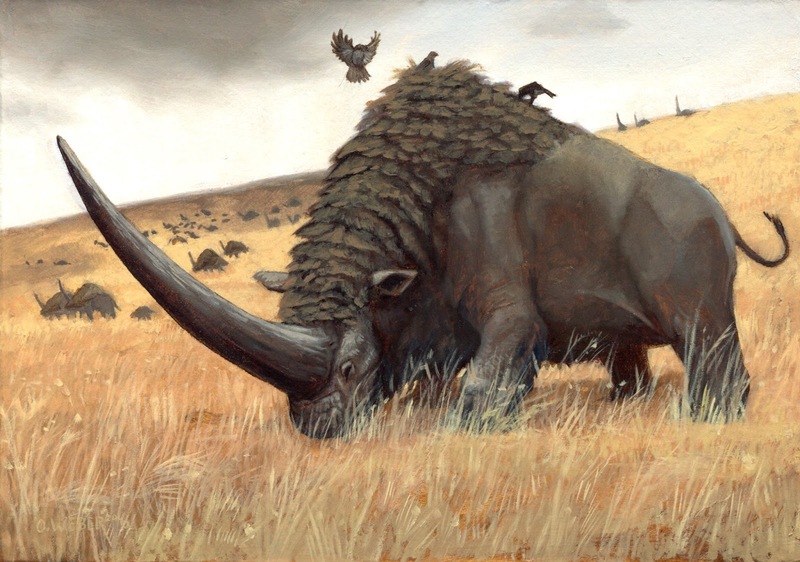 Elasmotherium was a massive grazing mammal that had a shoulder height of about 2 meters and is related to the rhinoceros. There have been cave drawings found of this creature, so man lived alongside it. My inspiration for this piece is from old depictions of how herds of bison looked before they were hunted down to very low numbers. I imagine a herd of Elasmotheria must have been quite a sight.